I was inspired initially by a picture of a real sun zebra, but I can’t tell you more without spoiling for you the first story of the book. Definitely Nell, she is the star of the book! I researched a little on insects, squirrels, balloons, Poe’s poetry, and military history to get some details right, but the main emphasis of the stories is on topics for which no research was required. I had no time to waste in going through the grind of the traditional publishing route, and I also wanted to control the whole process. Yes, I made a lot of mistakes. I had a bad book cover, I was naïve in the way I initially promoted my book and so forth, but that is part of the learning curve of any process. I have derived inspiration from many books. Among the English language books are The Lord of the Rings by Tolkien, the Harry Potter books by Rowling, the Foundation and Robot books by Asimov, the Hyperion books by Dan Simmons, and The Castle Rock books by Stephen King. Among the Spanish language books are the books of short stories by Horacio Quiroga and Jorge Luis Borges, and One Hundred Years of Solitude by Gabriel Garcia Marques. Now I mostly read e-books by Indie authors. Some great books I have read are First Kiss by Barbara Alfaro, Shades of Love by Sunny Lockwood, Hippie Boy by Ingrid Ricks, Finding Clarity by Laura Novak, and Iona Portal by Robert David MacNeil. Yes, I am trying to corral another series of short stories under a common theme. But these are very different from those in The Sun Zebra. They are much darker and psychological. The best advice is that there is no “one size fits all” advice. What works for one writer will not work for the next. Try different thing until you find what works for you. If you can't wait for more, you can purchase The Sun Zebra on Amazon! Rolando Garcia is the peculiar eclectic writer. He was born on a Caribbean island and lived in several Latin American countries before residing permanently in the United States. Along the way he obtained a Ph.D. in a scientific discipline and produced several highly technical publications. However, one fine day he decided to fulfill his dream of writing something besides technical articles. This he began to do by publishing his work under the pen name "Phantomimic" on the document sharing site Scribd.com, where his stories have accumulated more than one hundred thousand reads and hundreds of comments. Based in part on this enthusiastic response to his work, he decided to take it to the next level. 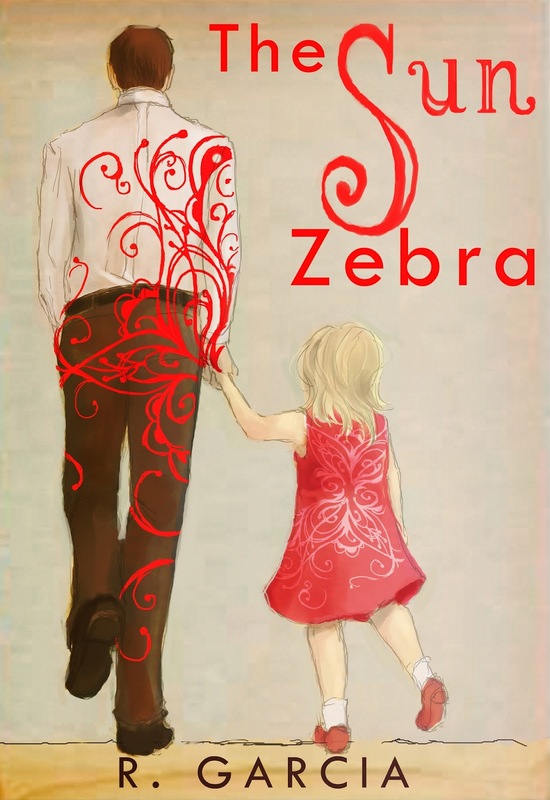 His first book on the Amazon Kindle is the collection of short stories entitled The Sun Zebra. Keep up with Rolando with his Email, Website, Twitter, Facebook, and Goodreads! 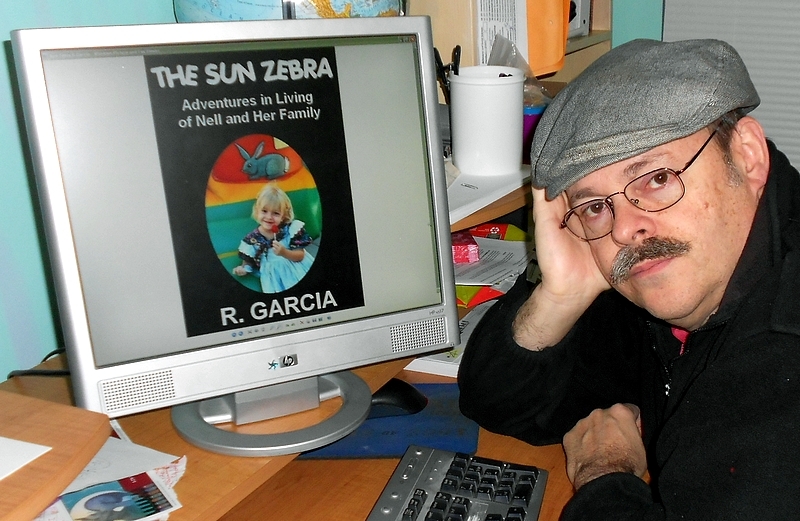 I loved "The Sun Zebra" when I first read the story on Scribd.com. The little girl, Nell, at the heart of the story is lovely and her take on life is both refreshing and endearing. I'm so glad to see that Rolando Garcia has collected his Nell stories into a book. If you haven't read "The Sun Zebra," you've missed something special.